If you’re looking for something fun and unique to add to your home, why not consider a fun table game like billiards or table tennis? Your new table game can bring hours of fun and entertainment to your home and can be a centrepiece for when you have guests over. With so many fun table games to choose from, it can be overwhelming deciding which one is right for you. Here’s the T&R Sports guide on how to choose the right table game for your home. You might want to choose a different table game if you have a small family compared to what you might choose if you have a big family. If you have a small family, two to four-player games like foosball or air hockey might be a good choice. You won’t have to worry about taking turns, and everyone has the chance to play together. Foosball and air hockey are both fun, fast-paced games that everyone will enjoy. If you have a large family, you might want to consider a multi-player game like billiards or darts. These games allow a lot of players to play at once, so nobody is missing out on the fun. Divide your family into two teams so everyone can play together. Two to four-player games are also great if you want multiple games for your family to choose from. Family tournaments are always fun, and all of our table games allow you to create exciting, competitive tournaments that the whole family will enjoy. 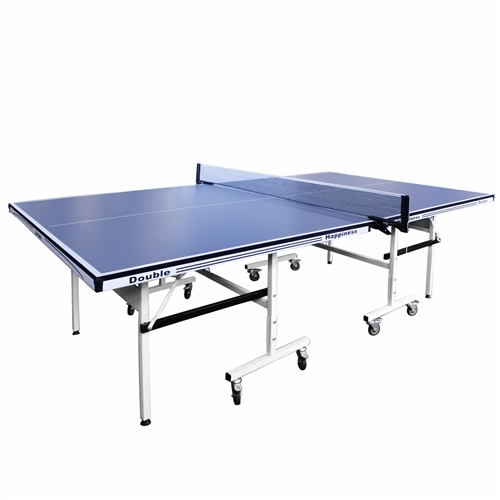 Whether it’s table tennis or snooker, there’s something at T&R Sports for everyone. If you enjoy hosting parties, a table game is a great way to add something fun and new for your guests to do. Keep the party alive with a game of billiards or a competitive foosball tournament. Our table games are a great way to get a party started and can keep your guests entertained for hours. You can also make your table game a centrepiece of your home – one of our high-end billiards tables also make for striking accent pieces in any home. Check out one of our quality slate billiards tables and you’ll see how much of an impact they can make on your space. Everybody has different interests, so it’s important to always take everyone’s diverse interests into consideration when deciding your family table game. Not everyone is going to like foosball, or not everyone is going to like billiards. When you’re adding something to your home that’s for the entire family, take everyone’s opinion into account. There may be games that not everyone in your home has played, which is a great opportunity to introduce them to something new. Try out billiards if nobody has played it, or invest in a foosball table if your family is new to the game. You’ll have a lot of fun making new memories with your family. At T&R Sports, we stock billiards, pool, and snooker tables and accessories, table tennis, air hockey, foosball, trampolines, dartboards and accessories, basketball systems, and so much more. There are so many quality games to choose from when you shop with us, and our team of table game experts can help you decide what’s right for you and your family. Table games are perfect for bringing your family together for some fun and excitement. Come see our selection of games and get personalised assistance in choosing the right game for you and your family.